Building on a successful, decades-long record of creating products and businesses in ecommerce, advertising, hosting, and retail marketplaces, Sara is shaping the Reaction Commerce vision for creating a modern, open and real-time solution designed for today’s global intelligent and real time commerce experiences. 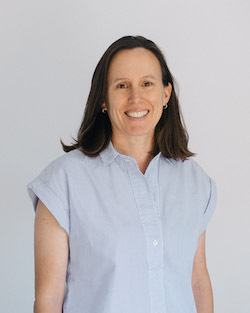 Prior to co-founding Reaction Commerce, Sara worked her way up through the technology web managing consumer and merchant products (Geocities, Yahoo! Store, IAC), leading teams responsible for interface design, user experience, content development and product strategy (Etsy, Media Temple) and becoming an ecommerce marketplace CEO (Science). She’s helped to scale teams and build products for massive marketplaces and platforms that generate billions of dollars in transactions, touch millions of online shoppers, and impact hundreds of thousands of sellers and businesses. As a strategic advisor and mentor to tech startups, Sara is equal parts right-brain innovator and left-brain analyzer. She resides in Los Angeles, CA, and when she’s not on her bike, yoga mat or surfboard, she is fervently exploring emerging technologies, simple designs, beautiful interfaces, life-changing communication and creative solutions from outside-the-box people.